Your information will only be used to send you relevant product information and promotions and will not be sold on to a third party. 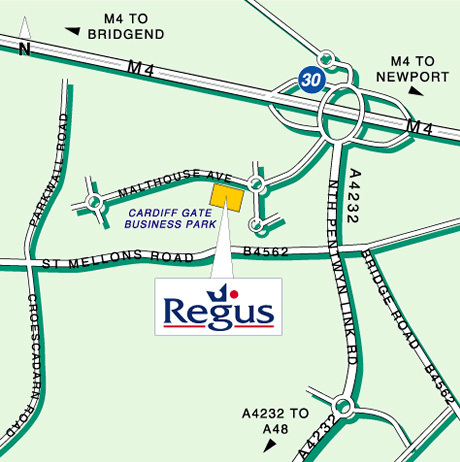 Go straight over the mini roundabout; Regus is directly in front of you. Cardiff International Airport is approximately 30 minutes by car. Cardiff Bus Service X59 travels between Cardiff Central Station and Cardiff Gate Business Park.